Tonight I was in the mood to kebab it up. 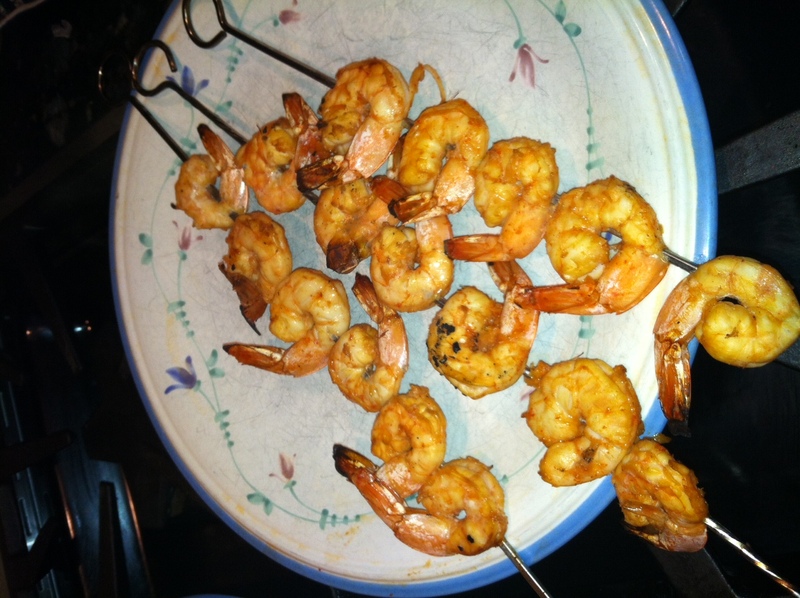 I headed out to the store with the intent of buying beef or shrimp, but came back with both. 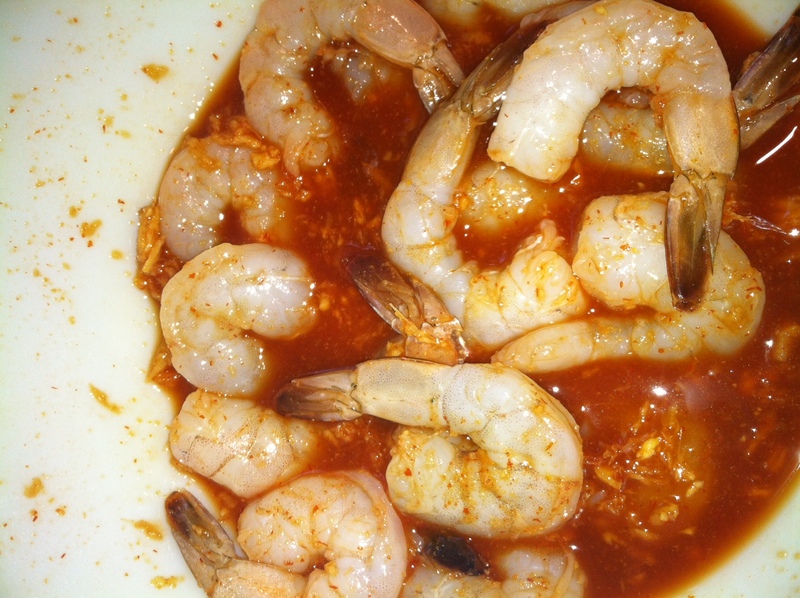 Let’s call it spicy surf and turf. 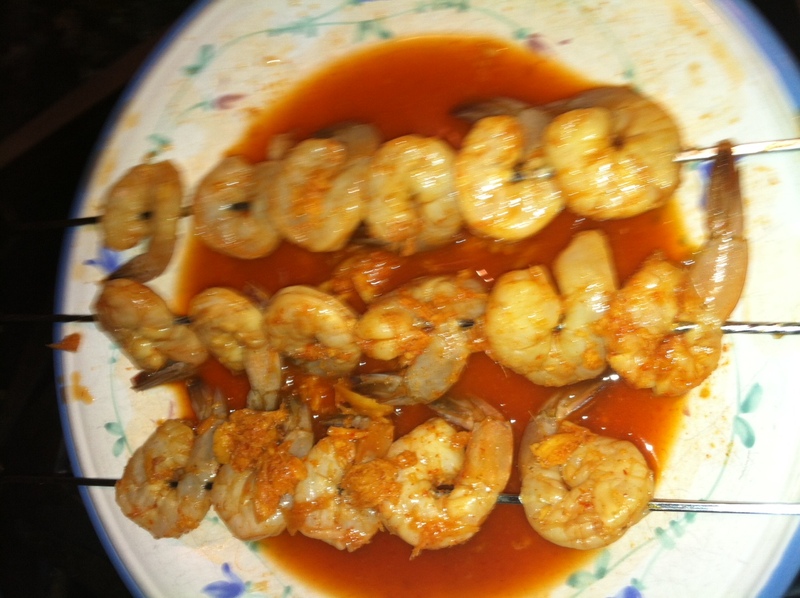 So the shrimp was VERY spicy ( I used Sriratcha rather than standard chili sauce) The beef was terrific! 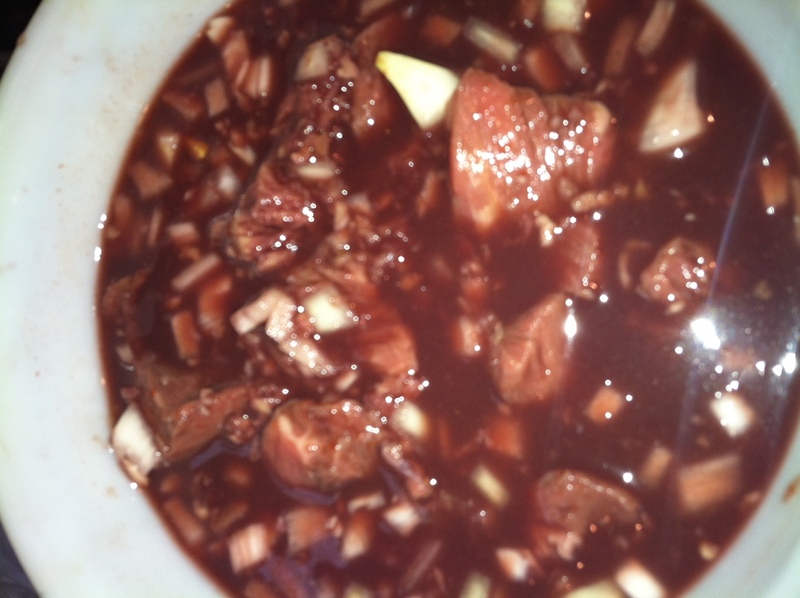 Combine the red wine and steak sauce in a large bowl. Stir in the orange slices, green onions, chile peppers, garlic, and ginger. Season with salt and pepper to taste. Place steak strips in a shallow dish and pour marinade over meat. Cover, and refrigerate 8 hours. Preheat an outdoor grill for high heat and lightly oil grate. Set grate 4 inches from heat. Soak wooden or bamboo skewers in water for 30 minutes to prevent them from burning. 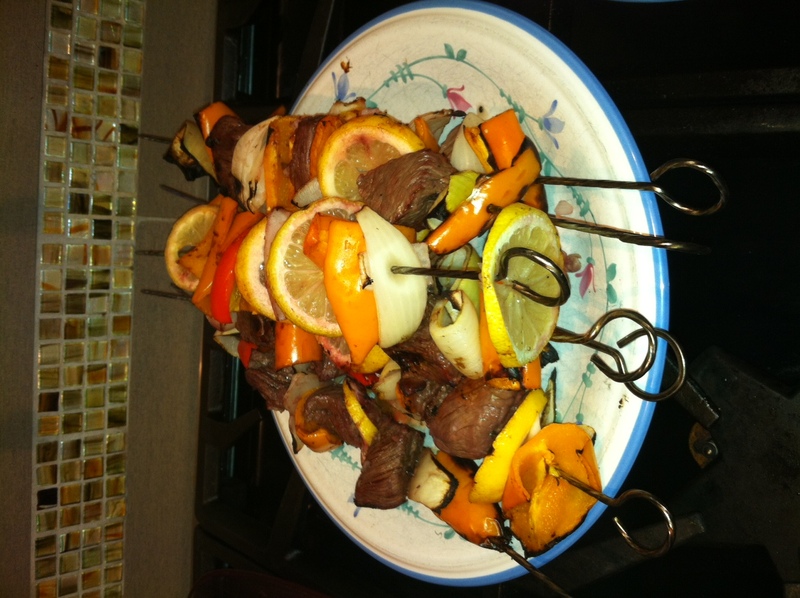 Remove steak from marinade, and discard; thread meat onto skewers. 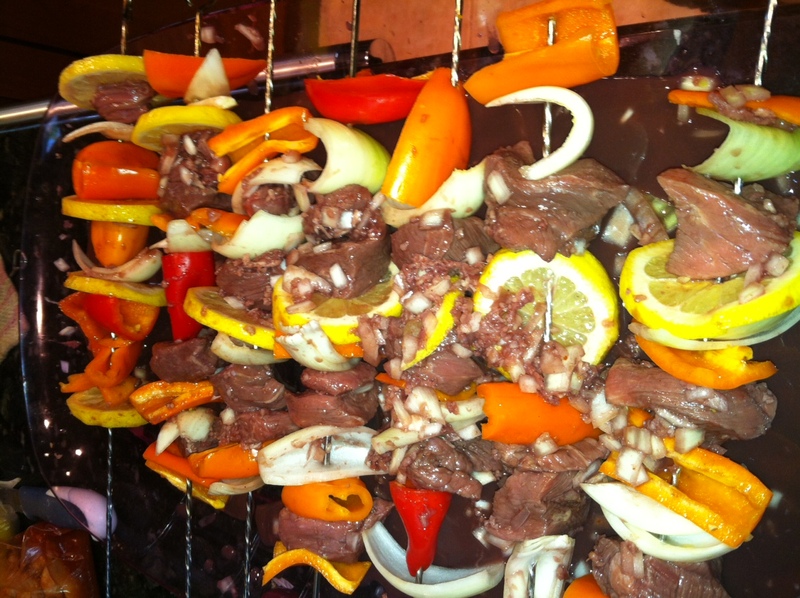 Arrange skewers on prepared grill, and cook until meat is no longer pink and juices run clear, 7 to 10 minutes.